a messaging platform upgrade that enhances its overall performance and improves client availability for developers. JBoss AMQ is a lightweight, standards-based open source platform designed to enable real-time communication between applications, services, devices and the Internet of Things. It is based on the upstream Apache ActiveMQ and Apache Qpid community projects. JBoss AMQ serves as the messaging foundation for Red Hat JBoss Fuse. 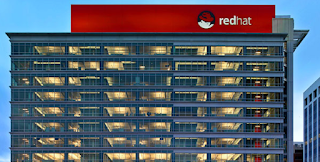 It provides real-time, distributed messaging capabilities needed to support an agile integration approach for modern application development, according to Red Hat. The upgrade be available for download by members of the Red Hat developers community this summer, the company said. Technology plays a central role in enabling greater levels of interconnection and scalability, noted Mike Piech, general manager of Red Hat JBoss Middleware. "With its new reactive messaging architecture, JBoss AMQ is well-suited to support the applications and infrastructure that can help deliver those experiences," he said. "Messaging," in this case, relates to commands passing between servers and client devices. Broadly speaking, this kind of technology is called "message-oriented middleware," or "MOM," said Charles King, principal analyst at Pund-IT. JBoss AMQ 7 brings technology enhancements to three core components: broker, client and interconnect router. The JBoss AMQ broker manages connections, queues, topics and subscriptions. It uses innovations from Artemis to provide an asynchronous internal architecture. This increases performance and scalability and enables the system to handle more concurrent connections and achieve greater message throughput. Two key enhancements in JBoss AMQ 7 are a new reactive implementation and interconnect features, said David Codelli, product marketing lead for JBoss AMQ at Red Hat. The first is an asynchronous (reactive) server component, so it no longer ties up resources for each idle connection. This will make all their interactions with messaging more performant, both in terms of throughput and latency. "It also means that more developers can use the system since some asynchronous threading models can't use traditional brokers," Codelli told LinuxInsider. The second key enhancement is the addition of numerous benefits provided by the new interconnect feature, especially the ability to use one local service.